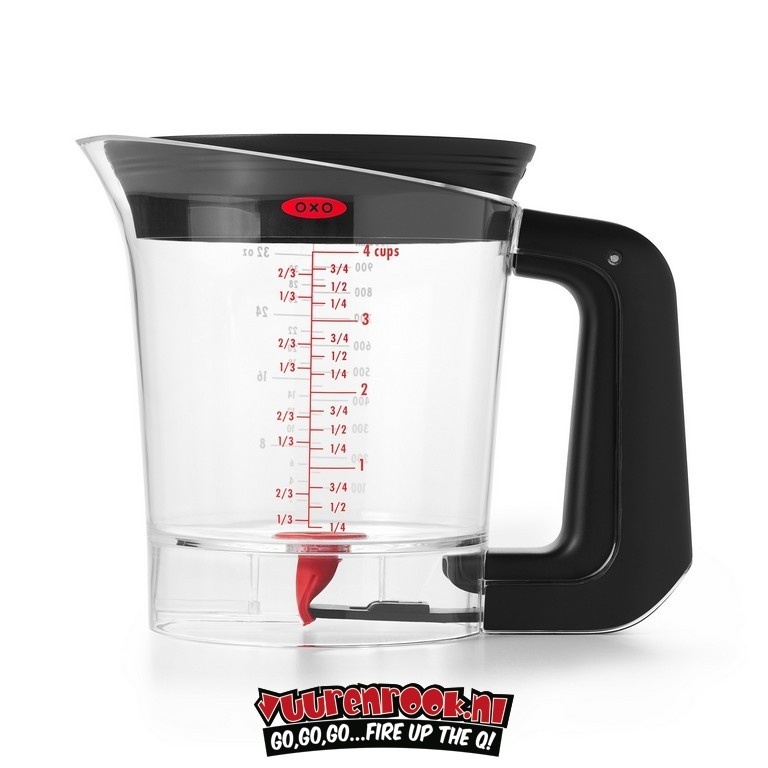 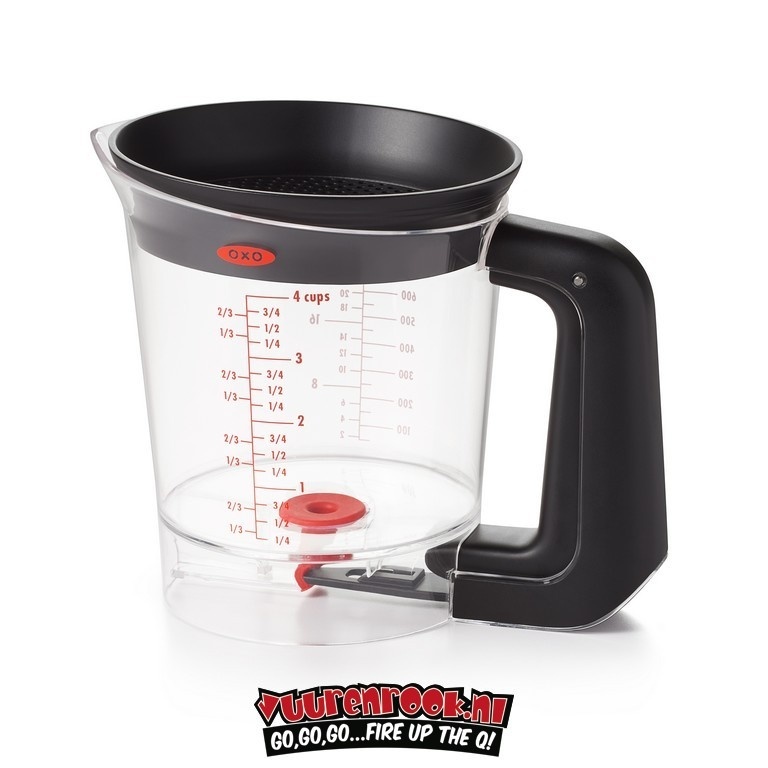 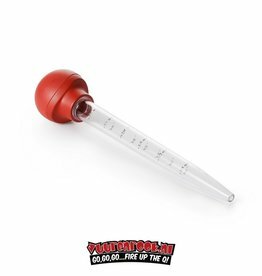 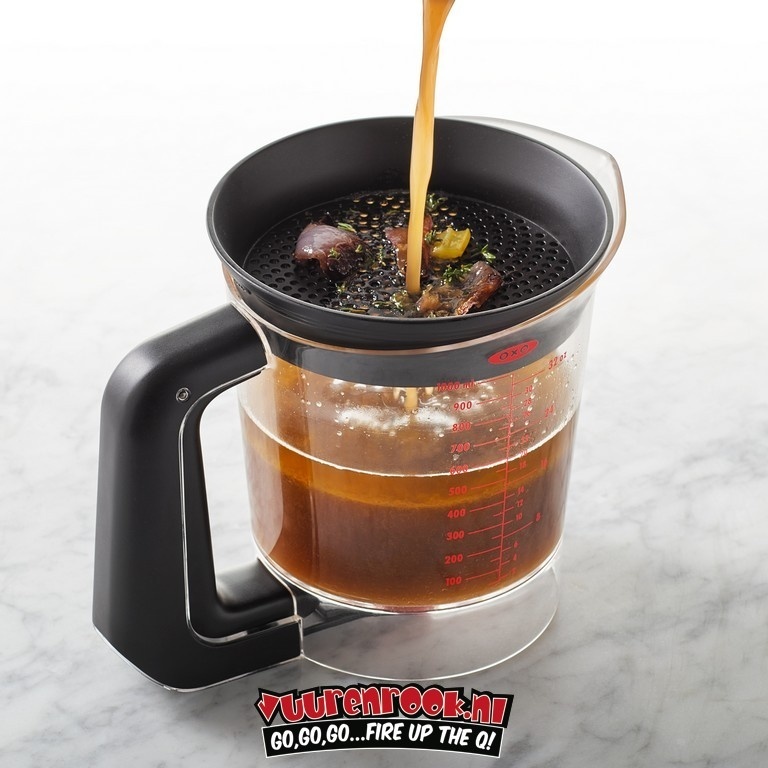 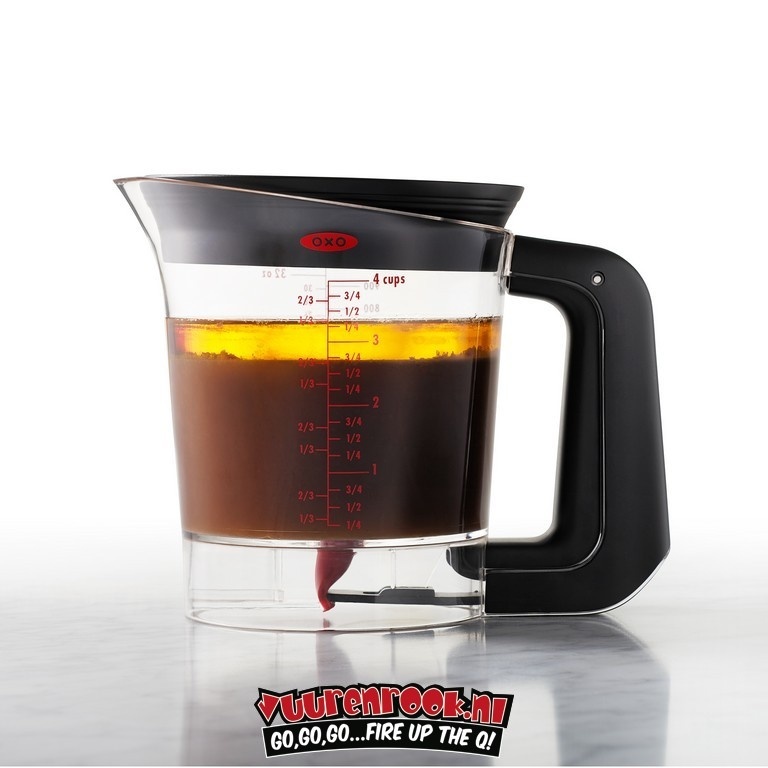 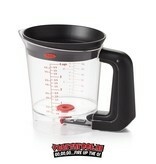 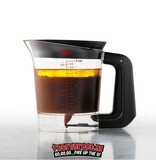 With this fat separator from OXO Good Grips you can easily make soups, sauces and less gravy. 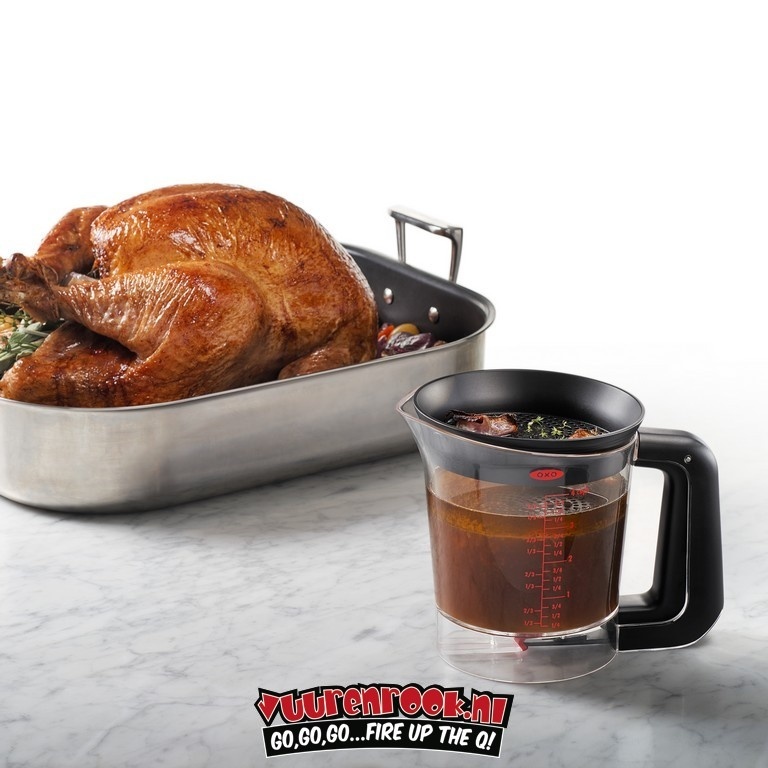 And that's nice, because less fat fits perfectly into a healthy lifestyle. 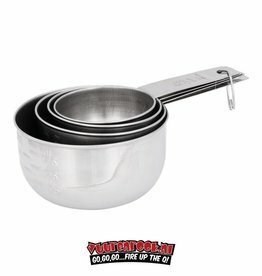 The fat separator is equipped with a sieve. 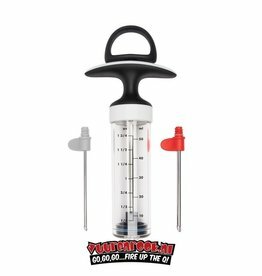 This prevents pieces from coming in. 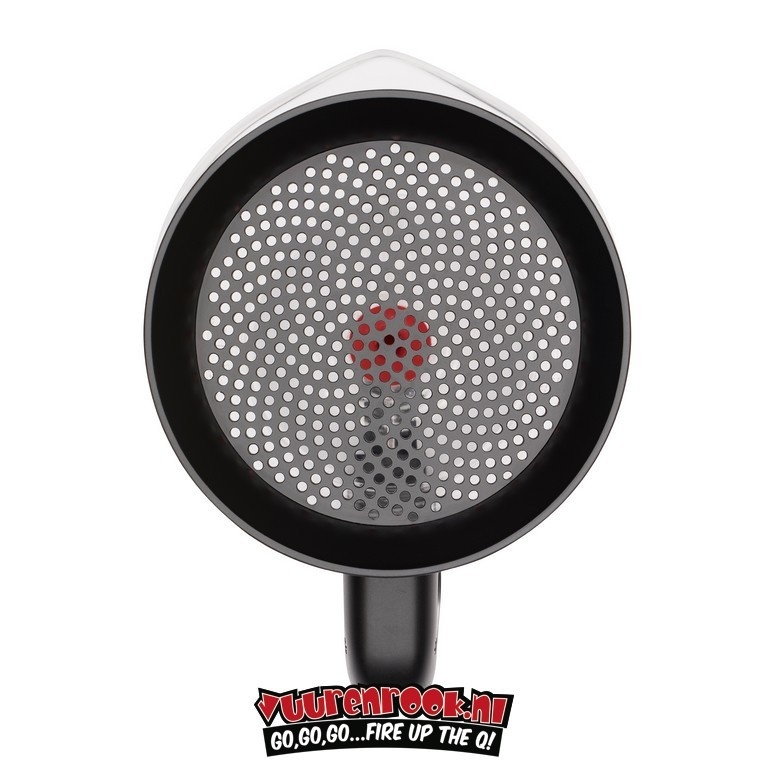 At the bottom is a spout that you can easily open and close with a pinch mechanism in the handle. 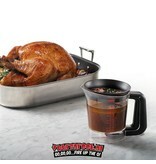 When you open the drip-free spout, the fat-free sauce, soup or gravy flows out. 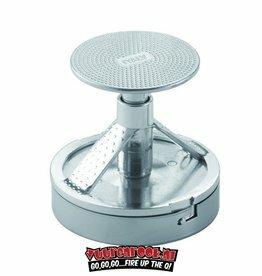 Because the opening and closing mechanism is on the outside, you can easily clean this grease separator. It is made of BPA-free plastic and may be used in the dishwasher after use.